This summer my husband and I have vowed to have more BBQs, giving us a chance to enjoy our patio and spend more time with friends. Our first big bash was a party for my Toastmasters group which turned out to be quite the crowd – 22 adults and 10 kids. Since it was a potluck I didn’t have to worry about making too many things, but I did want to have an easy to munch item to scatter between tables that wasn’t perishable. A tweak to my Wild West ChexTM Mix was just the thing for my party. The name and theme for my chexTM mix is a play on what I can imagine a cowboy would like in his party mix – a dash of coffee, a bit of hot pepper, and a handful of cheese. The coffee makes it’s way into the buttery coating on the cereal, and jalepeno popcorn, chili cheese flavored chips, and cheddar pretzels add just the zing I wanted. The last addition to my mix is Boston baked bean candies. They look like a pinto bean on the outside, but are actually a peanut coated in a maroon candy shell (not surprisingly, they are a hit with the kiddos). 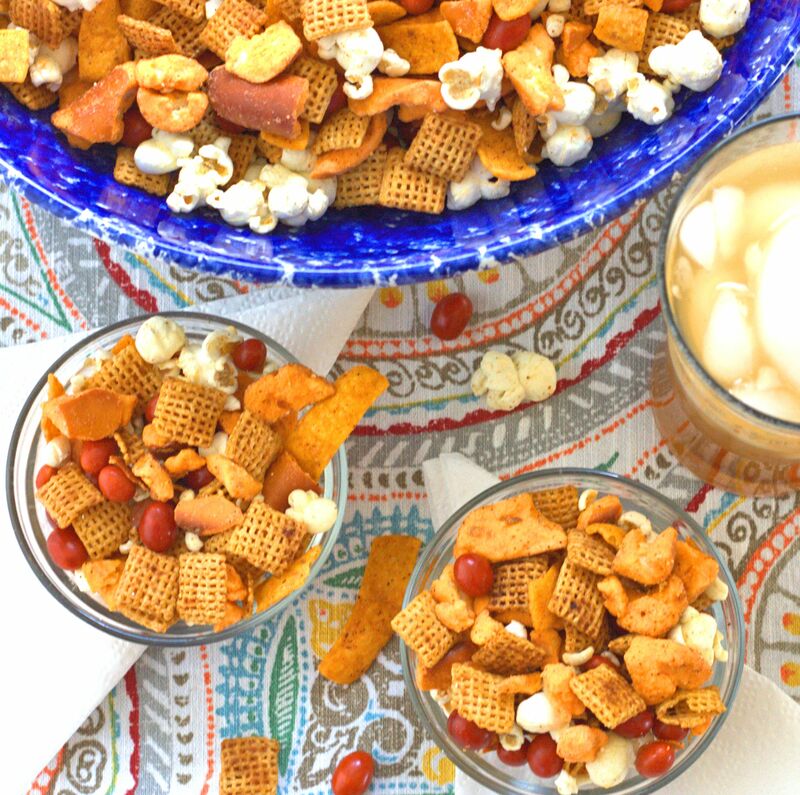 The prep is quick, which means you don’t have to slave in the kitchen and you have more time to relax (and maybe sneak in a handful of the Wild West Chex Mix) before guests arrive. Party Time! Place cereal in a large microwave safe bowl. In a small microwave safe bowl, place butter and melt for 40 seconds, or until completely melted. 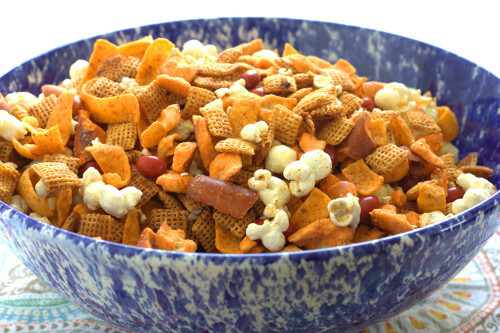 Stir coffee, salt, onion powder, garlic powder, and cinnamon into butter, then pour over cereal and stir to coat evenly. Place bowl in microwave, and heat on high for 5-6 minutes, stirring every 2 minutes. Remove from microwave and spread cereal onto foil lined baking sheets (or paper towels) to cool. 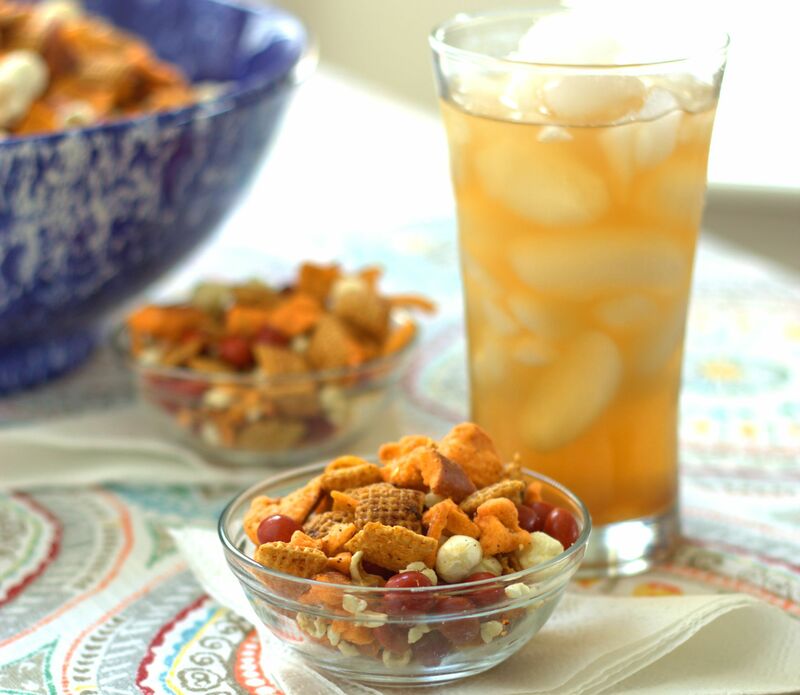 Once cool, add to a large bowl and then stir in the popcorn, corn chips, pretzel bites, and Boston baked beans candies and store in a tightly lidded container. 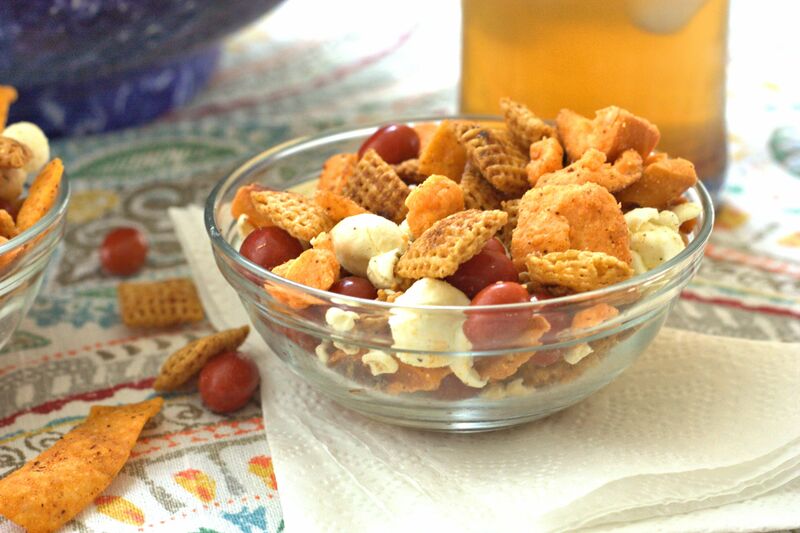 This entry was posted in Appetizer and tagged snack.